I am pleased that my painting of this refugee child has been selected by the National Association of Women Artists, Inc. for their exhibit. “Shelter.” The exhibit takes place at the Harlem School of the Arts and runs from December 1 through January 3. A portion of sales proceeds goes to Violence Transformed. “Vixens or Victims” art exhibit examines women’s strength and vulnerability. 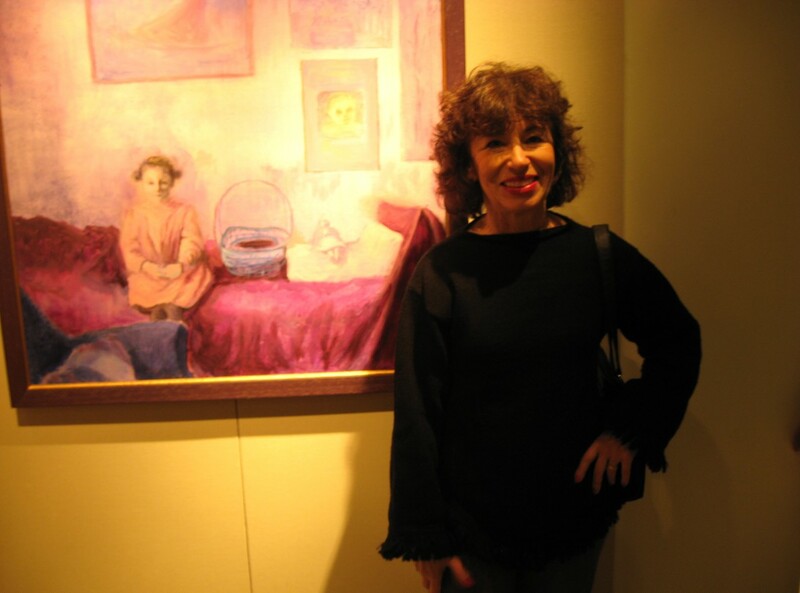 My solo show at the Harrison Public Library consists of 17 paintings that show women in their many roles – whether as icons, objects of desire or defenders of our country. The exhibit continues through October 28 and is open to the public. I was so pleased to win an “Award of Excellence” in the Manhattan Arts International on-line exhibition, “Her Story 2016.” Curated by Renee Phillips, this exhibit can be viewed from March 20-April 20, 2016. My entry, “Frida – Two Views”, was the first in my series called “Icons.” After Frida, I did Pablo Picasso and Andy Warhol. Following in Warhol’s footsteps, I then did Marilyn Monroe and Elizabeth Taylor. I have just completed two views of Georgia O’Keefe. I think my next “icon” will be Audrey Hepburn and then who knows where I’ll take this idea. Any suggestions? I hadn’t thought of Liz and Marilyn in terms of religion but this show gave me the idea of perhaps doing a series of famous people who converted to Judaism. To me, a far more interesting exhibit in the museum is “Unorthodox.” At first, I mistakenly thought it would be about religion but the title has to do with art. The show “brings together 55 artists who operate outside established norms and could be characterized as mavericks, rebels, iconoclasts or misfits.” I particularly enjoyed the work of Brian De Graw, Boris Lurie and Birgit Mergerle.